One Owner Carfax, 8 Speakers, Automatic temperature control, Emergency communication system, Exterior Parking Camera Rear, Front dual zone A/C, Fully automatic headlights, Heated front seats, Radio: Composition Media w/6.5" Touchscreen, Wheels: 16" Astona Aerodynamic Alloy. 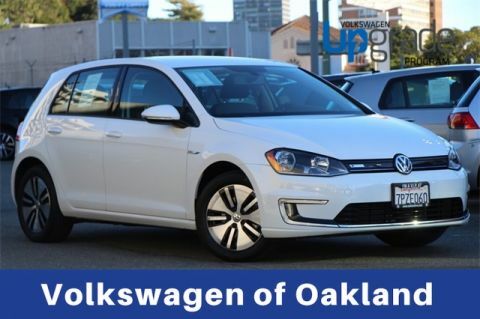 2016 Volkswagen e-Golf SE Includes 2 Years, 24,000 miles, Volkswagen Certified Pre-Owned Limited Warranty - Think of it as peace of mind on four wheels - Get two years of 24-hour Roadside Assistance on your vehicle - We put our pre-owned vehicles through a comprehensive, painstakingly detailed 100-point inspection - Every car is put on the lift, every engine is tested on the road, and every inch is inspected - If a car isn’t working perfectly, we won’t let you drive away in it. And if any VW elements fail to pass muster, they will be repaired or replaced with genuine Volkswagen parts. Reviews: * Outstanding cabin materials and construction; superior ride and quietness; low center of gravity delivers impressive grip and handling; just as much cargo capacity as other Golfs; new lower-price base model. Source: Edmunds Clean CARFAX. CARFAX One-Owner. Terms and Conditions: Prices do not include government fees and taxes, any finance charges, any dealer document processing charge, any electronic filing charge, and any emission testing charge. Subject to prior sale. * While every reasonable effort is made to ensure the accuracy of this information, we are not responsible for any errors or omissions contained on these pages. 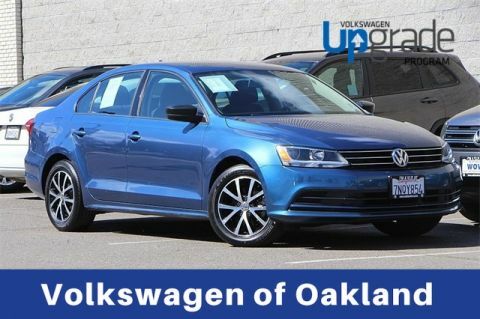 Please verify any information in question with Volkswagen of Oakland. One Owner Carfax, 4 Speaker Audio System, Exterior Parking Camera Rear, Radio: Composition Media w/6.3" Touchscreen, Steering wheel mounted audio controls, Wheels: 16" Sedona Black Alloy. 2016 Volkswagen Jetta 1.4T SE Includes 2 Years, 24,000 miles, Volkswagen Certified Pre-Owned Limited Warranty - Think of it as peace of mind on four wheels - Get two years of 24-hour Roadside Assistance on your vehicle - We put our pre-owned vehicles through a comprehensive, painstakingly detailed 100-point inspection - Every car is put on the lift, every engine is tested on the road, and every inch is inspected - If a car isn’t working perfectly, we won’t let you drive away in it. And if any VW elements fail to pass muster, they will be repaired or replaced with genuine Volkswagen parts. Terms and Conditions: Prices do not include government fees and taxes, any finance charges, any dealer document processing charge, any electronic filing charge, and any emission testing charge. Subject to prior sale. * While every reasonable effort is made to ensure the accuracy of this information, we are not responsible for any errors or omissions contained on these pages. 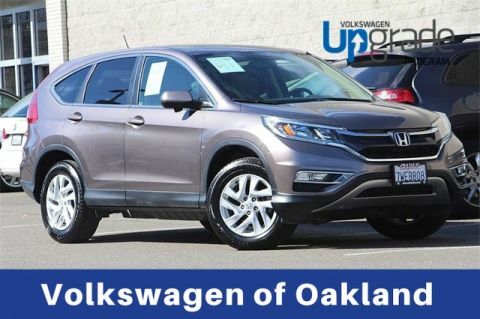 Please verify any information in question with Volkswagen of Oakland. One Owner Carfax, 112 Point Inspection, 4 Speaker Audio System, Radio: Composition Media w/6.3" Touchscreen, Rear-View Camera. 2016 Volkswagen Jetta 1.4T S w/Technology Includes 2 Years, 24,000 miles, Volkswagen Certified Pre-Owned Limited Warranty - Think of it as peace of mind on four wheels - Get two years of 24-hour Roadside Assistance on your vehicle - We put our pre-owned vehicles through a comprehensive, painstakingly detailed 100-point inspection - Every car is put on the lift, every engine is tested on the road, and every inch is inspected - If a car isn’t working perfectly, we won’t let you drive away in it. And if any VW elements fail to pass muster, they will be repaired or replaced with genuine Volkswagen parts. CARFAX One-Owner. Terms and Conditions: Prices do not include government fees and taxes, any finance charges, any dealer document processing charge, any electronic filing charge, and any emission testing charge. Subject to prior sale. * While every reasonable effort is made to ensure the accuracy of this information, we are not responsible for any errors or omissions contained on these pages. Please verify any information in question with Volkswagen of Oakland. One Owner Carfax, 4 Speaker Audio System, Radio: Composition Media w/6.3" Touchscreen, Steering wheel mounted audio controls, Wheels: 16" Sedona Black Alloy. 2016 Volkswagen Jetta 1.4T SE Includes 2 Years, 24,000 miles, Volkswagen Certified Pre-Owned Limited Warranty - Think of it as peace of mind on four wheels - Get two years of 24-hour Roadside Assistance on your vehicle - We put our pre-owned vehicles through a comprehensive, painstakingly detailed 100-point inspection - Every car is put on the lift, every engine is tested on the road, and every inch is inspected - If a car isn’t working perfectly, we won’t let you drive away in it. And if any VW elements fail to pass muster, they will be repaired or replaced with genuine Volkswagen parts. Clean CARFAX. CARFAX One-Owner. Terms and Conditions: Prices do not include government fees and taxes, any finance charges, any dealer document processing charge, any electronic filing charge, and any emission testing charge. Subject to prior sale. * While every reasonable effort is made to ensure the accuracy of this information, we are not responsible for any errors or omissions contained on these pages. 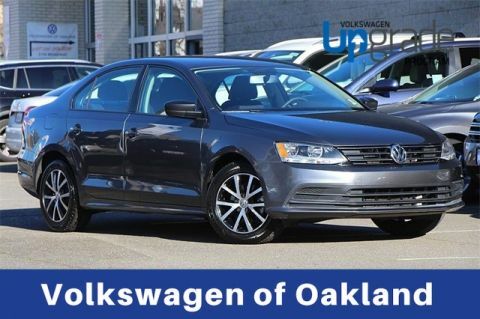 Please verify any information in question with Volkswagen of Oakland. One Owner Carfax, e-Golf SEL Premium, Automatic temperature control, Emergency communication system, Exterior Parking Camera Rear, Front dual zone A/C, Fully automatic headlights, Navigation System, Radio: Discover Pro w/8" Touchscreen Navigation, Steering wheel mounted audio controls, V-Tex Leatherette Seating Surfaces, Wheels: 16" Astona Aerodynamic Alloy. 2016 Volkswagen e-Golf SEL Premium Includes 2 Years, 24,000 miles, Volkswagen Certified Pre-Owned Limited Warranty - Think of it as peace of mind on four wheels - Get two years of 24-hour Roadside Assistance on your vehicle - We put our pre-owned vehicles through a comprehensive, painstakingly detailed 100-point inspection - Every car is put on the lift, every engine is tested on the road, and every inch is inspected - If a car isn’t working perfectly, we won’t let you drive away in it. And if any VW elements fail to pass muster, they will be repaired or replaced with genuine Volkswagen parts. Reviews: * Outstanding cabin materials and construction; superior ride and quietness; low center of gravity delivers impressive grip and handling; just as much cargo capacity as other Golfs; new lower-price base model. Source: Edmunds Clean CARFAX. CARFAX One-Owner. Terms and Conditions: Prices do not include government fees and taxes, any finance charges, any dealer document processing charge, any electronic filing charge, and any emission testing charge. Subject to prior sale. * While every reasonable effort is made to ensure the accuracy of this information, we are not responsible for any errors or omissions contained on these pages. 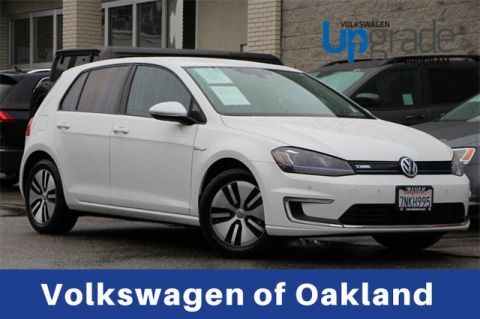 Please verify any information in question with Volkswagen of Oakland. 18" New York Alloy Wheels, 8 Speakers, Exterior Parking Camera Rear, Power driver seat, Radio: RCD 510 Premium VIII Touchscreen w/6-CD, Remote keyless entry. 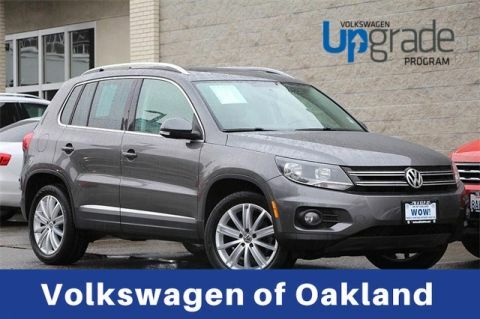 2015 Volkswagen Tiguan SE w/Appearance Includes 2 Years, 24,000 miles, Volkswagen Certified Pre-Owned Limited Warranty - Think of it as peace of mind on four wheels - Get two years of 24-hour Roadside Assistance on your vehicle - We put our pre-owned vehicles through a comprehensive, painstakingly detailed 100-point inspection - Every car is put on the lift, every engine is tested on the road, and every inch is inspected - If a car isn’t working perfectly, we won’t let you drive away in it. And if any VW elements fail to pass muster, they will be repaired or replaced with genuine Volkswagen parts. CARFAX One-Owner. Terms and Conditions: Prices do not include government fees and taxes, any finance charges, any dealer document processing charge, any electronic filing charge, and any emission testing charge. Subject to prior sale. * While every reasonable effort is made to ensure the accuracy of this information, we are not responsible for any errors or omissions contained on these pages. 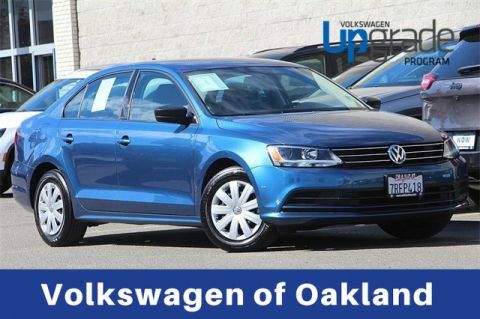 Please verify any information in question with Volkswagen of Oakland. 8 Speakers, Emergency communication system, Exterior Parking Camera Rear, Radio: Composition Media w/6.5" Touchscreen, Steering wheel mounted audio controls, Wheels: 15" Lyon Alloy. 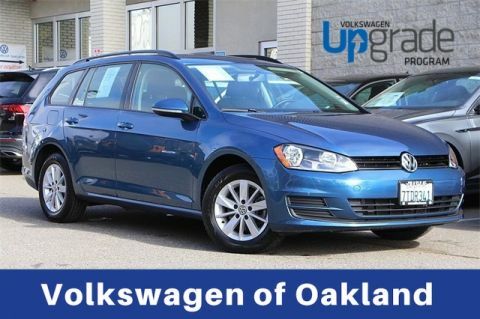 2016 Volkswagen Golf SportWagen S Includes 2 Years, 24,000 miles, Volkswagen Certified Pre-Owned Limited Warranty - Think of it as peace of mind on four wheels - Get two years of 24-hour Roadside Assistance on your vehicle - We put our pre-owned vehicles through a comprehensive, painstakingly detailed 100-point inspection - Every car is put on the lift, every engine is tested on the road, and every inch is inspected - If a car isn’t working perfectly, we won’t let you drive away in it. And if any VW elements fail to pass muster, they will be repaired or replaced with genuine Volkswagen parts. Clean CARFAX. Terms and Conditions: Prices do not include government fees and taxes, any finance charges, any dealer document processing charge, any electronic filing charge, and any emission testing charge. Subject to prior sale. * While every reasonable effort is made to ensure the accuracy of this information, we are not responsible for any errors or omissions contained on these pages. 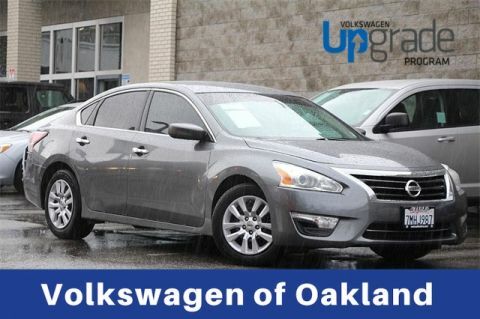 Please verify any information in question with Volkswagen of Oakland. One Owner Carfax, 8 Speakers, Automatic temperature control, Emergency communication system, Exterior Parking Camera Rear, Front dual zone A/C, Fully automatic headlights, Heated front seats, Navigation System, Radio: Discover Pro w/8" Touchscreen Navigation, Steering wheel mounted audio controls, V-Tex Leatherette Seating Surfaces, Wheels: 16" Astona Aerodynamic Alloy. 2016 Volkswagen e-Golf SEL Premium Includes 2 Years, 24,000 miles, Volkswagen Certified Pre-Owned Limited Warranty - Think of it as peace of mind on four wheels - Get two years of 24-hour Roadside Assistance on your vehicle - We put our pre-owned vehicles through a comprehensive, painstakingly detailed 100-point inspection - Every car is put on the lift, every engine is tested on the road, and every inch is inspected - If a car isn’t working perfectly, we won’t let you drive away in it. And if any VW elements fail to pass muster, they will be repaired or replaced with genuine Volkswagen parts. Reviews: * Outstanding cabin materials and construction; superior ride and quietness; low center of gravity delivers impressive grip and handling; just as much cargo capacity as other Golfs; new lower-price base model. Source: Edmunds Clean CARFAX. CARFAX One-Owner. Terms and Conditions: Prices do not include government fees and taxes, any finance charges, any dealer document processing charge, any electronic filing charge, and any emission testing charge. Subject to prior sale. * While every reasonable effort is made to ensure the accuracy of this information, we are not responsible for any errors or omissions contained on these pages. Please verify any information in question with Volkswagen of Oakland. Steering wheel mounted audio controls. 2014 Nissan Altima 2.5 Very well maintained - Has undergone our rigorous inspection and we ensure it has met our high standard of quality and safety -We take pride in our cars by having the best inventory at the best prices - All the services are up to date and tires and brakes are at or above standard requirement - Optional Extended service contracts are available and we encourage you to come see and drive this vehicle at our dealership located in downtown Oakland! Awards: * 2014 KBB.com 12 Best Family Cars * 2014 KBB.com 10 Most Comfortable Cars Under $30,000 Clean CARFAX. Terms and Conditions: Prices do not include government fees and taxes, any finance charges, any dealer document processing charge, any electronic filing charge, and any emission testing charge. Subject to prior sale. * While every reasonable effort is made to ensure the accuracy of this information, we are not responsible for any errors or omissions contained on these pages. 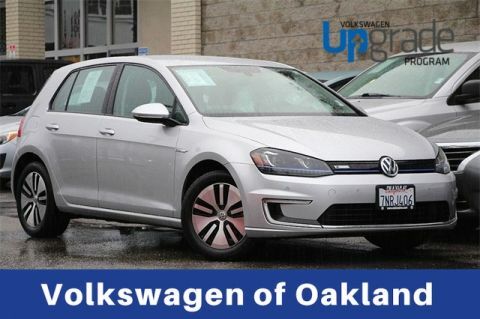 Please verify any information in question with Volkswagen of Oakland. One Owner Carfax, 17" Alloy Wheels, AM/FM/CD Audio System w/6 Speakers, Exterior Parking Camera Rear, Heated front seats, Power driver seat, Power moonroof, Steering wheel mounted audio controls. 2016 Honda CR-V EX Very well maintained - Has undergone our rigorous inspection and we ensure it has met our high standard of quality and safety -We take pride in our cars by having the best inventory at the best prices - All the services are up to date and tires and brakes are at or above standard requirement - Optional Extended service contracts are available and we encourage you to come see and drive this vehicle at our dealership located in downtown Oakland! Awards: * ALG Residual Value Awards * 2016 IIHS Top Safety Pick+ (With Touring Model) * 2016 KBB.com Brand Image Awards 2016 Kelley Blue Book Brand Image Awards are based on the Brand Watch(tm) study from Kelley Blue Book Market Intelligence. Award calculated among non-luxury shoppers. For more information, visit www.kbb.com. Kelley Blue Book is a registered trademark of Kelley Blue Book Co., Inc. Reviews: * Exceptional fuel economy compared to other crossovers; plenty of adult-sized room in both seating rows; more cargo capacity than most rivals; rear seatbacks fold flat at the tug of a lever; appealing roster of tech and safety features. Source: Edmunds Clean CARFAX. CARFAX One-Owner. Terms and Conditions: Prices do not include government fees and taxes, any finance charges, any dealer document processing charge, any electronic filing charge, and any emission testing charge. Subject to prior sale. * While every reasonable effort is made to ensure the accuracy of this information, we are not responsible for any errors or omissions contained on these pages. 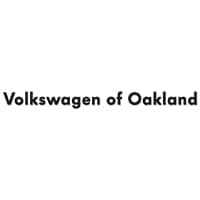 Please verify any information in question with Volkswagen of Oakland.